HELENA – A bill working its way through the Montana Legislature would tax medical marijuana. House Bill 529 would tax all marijuana products sold in the state of Montana at 6 percent. The revenue from the tax would go into the state’s general fund. The House Taxation Committee is scheduled to hear the bill Wednesday. Voters passed Initiative 182 last November. Jon Ebelt, spokesman for the Department of Health and Human Services, says among other things, the initiative requires the department to establish a program for cannabis products to be tested. That money would come out of the state general fund. “Especially with the fiscal condition that the state is in right now, to increase that burden upon the state, I don’t think that’s a fair burden to put on us right now. I don’t know that we would be able to do that right now,” said Rep. Tom Jacobson, D-Great Falls. 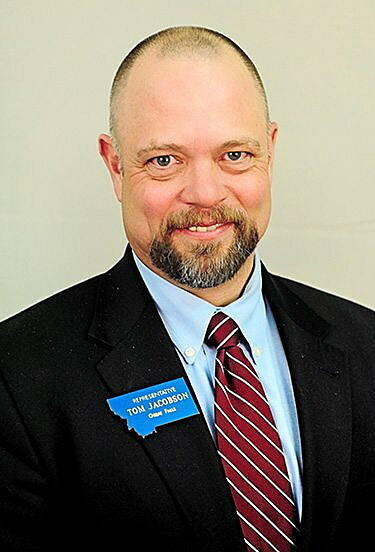 The bill is co-sponsored by Rep. Donald Jones, R-Billings. Gov. Steve Bullock’s budget proposal predicts that a tax would generate $2.6 million for the state general fund over the next biennium. The fiscal note on House Bill 529 shows an increase of about $2.2 million in general fund revenue in that same time. Other states that tax medical marijuana include New Mexico, Colorado, and California. The bill’s fiscal note also shows that California taxes medical marijuana at seven and a half percent, while Colorado’s tax is about three percent.